Any sucba diver will tell you that learning to scuba dive is one of the best things they have ever done. Scuba diving is amazing and you get to see Australia's underwater beauty. There is plenty of wreck and coral scuba diving across Australia for you to enjoy safely. Whether you are experienced or wanting to learn how to scuba dive, there is an underwater adventure waiting for you. Get scuba diving today!! Spend 3 amazing nights on Heron Island - all meals included! This experience is the perfect way to experience the natural wonderland that is Heron Island. The land is the peak of Heron Reef, so you're surrounded by sun, sand, snorkelling and crystal water - it's an island paradise! Relax for 3 beautiful nights on Heron Island! This magnificent getaway is a tropical playground, famous for hosting some of Queensland's best diving and snorkelling. Take time for yourself on Heron's sandy shores, swim off the wonderful beaches and experience a whole other world! Jump on our 36ft aluminum boat called "Scubafish" for 4 Hours of deep water Harbour Fishing at it's best. The waters of Darwin Harbour are full of great fish for you to catch and or expert guides are sure to give the best experince possible. Sail to Blue Pearl Bay, the site of some of Queenslands most spectacular fringing reef. Snorkel or SCUBA dive amongst beautiful coral and thousands of tropical fish just metres from the beach. After exploring the bay, you are welcomed back on board the boat for a buffet lunch. Let them choose! With this range voucher, they can select from an amazing range of RedBalloon experiences. From pampering and indulgence to adventure and excitement, there's sure to be something to suit. Experience the thrill of scuba diving and explore the wonders of the largest collection of coral reefs in the world. See stunning coral and abundant marine life in the Great Barrier Reef. Never dived before? Let us show you how fun it can be! Have you ever wanted to know what it's like to be famous? Imagine being swamped by the 'Paparazzi', calling your name, asking you questions and making a huge scene, just because you are entering the building. This lifestyle is yours for the taking! A fantastic day for all certified scuba divers. Explore some of the best dive sites around Sydney with our instructor who has over 20 years of diving experience. With all equipment, instruction, lunch and transfers included this is a great way to discover what's beneath Sydney's surface. Nothing matches the feeling of standing on a square rigger with the wind in your face and the smell of salt in the air as you watch the huge red sails billowing aloft. The itinerary is unhurried setting aside time for strolling secluded beaches, snorkeling, diving and hiking national park trails. Does the idea of exploring an alien, subspace world filled with unique and amazing life forms and floating weightlessly through an unknown world intrigue you, then why not join the team from Metro-Sports on a Discover Scuba dive. We offer non divers the opportunity to experience the sensation of breathing underwater while seeing the fantastic marine life through the Discover Scuba Diving program. Jervis Bay Marine Park is a world renowned SCUBA diving destination with sparkling blue water surrounded by white unspoilt beaches, sandstone foramtions and national parks. Explore rocky reef, multiplevel topography dive sites. Observe a diverse range of marine critters all year round. Discover the Great Barrier Reef as you join our luxury day cruise to the outer edge by fast, air-conditioned catamaran. On Day 2, experience the Kuranda Scenic Railway, the award winning Rainforestation Nature Park and the Skyrail Rainforest Cableway. The ultimate 2 day cairns experience! Discover the wonders the Great Barrier Reef with a Seawalker helmet diving program. You need no prior diving experience to take part in this exciting underwater adventure! Included is a full day of snorkelling and a cruise. Come and see for yourself the beauty of the waters off the coast of Cairns. Discover the wonders of the Great Barrier Reef as you join us for a luxury day cruise to the outer edge of the reef. The cruise includes all-day snorkelling and an introductory scuba dive! Come for a cruise, snorkel and scuba dive in the waters off Cairns and feel the magic of this underwater world. A guided snorkelling tour is an ideal way to explore the wonders of the Great Barrier Reef. Your day includes a luxury cruise, lunch, all-day snorkelling and a 30-minute guided snorkel tour. This is one of the best ways to discover the beauty of this underwater world off the coast of Cairns. Experience the marine life of the Great Barrier Reef by joining our Seawalker Helmet Diving adventure program. Seawalker has been designed to introduce people to the excitement of the underwater world, even without any prior dive knowledge or experience. Discover the wonders of the Great Barrier Reef as you join our luxury day cruise to the outer edge of one of the seven wonders of the world, all by our fast, air-conditioned catamaran. Snorkel, swim or simply relax and take in the beauty of this magical wonder. A trip to North Queensland is not complete without time on the magnificent Great Barrier Reef. Enjoy an intimate 2 day/1 night sailing adventure aboard our luxurious 65' luxury world cruising yacht . With the amazing reef just a jump away, delicious food and friendly staff - what could be better! Treat yourself to five nights away and spend your days diving on the southern Great Barrier Reef, just off the coast of the beautiful Bargara. A diveaholic holiday for accredited divers, you'll relax, explore the local area and visit a diversity of dive sites. Soak up the fun below and above water! This two-night diving holidays is for self-confessed diveaholics. Based at a beautiful Bargara beachside resort, you will spend your days diving on the southern Great Barrier Reef. This holiday gives accredited divers the chance to explore the diversity of dive sites in this stunning area. 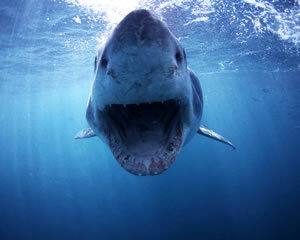 South Australia is the ideal location for diving with Great White Sharks. This liveaboard diving adventure departs from Port Lincoln, and heads out into the clear blue waters of the Southern Ocean. Cruise to Green Island in comfort aboard a modern air-conditioned catamaran. Green Island is an idyllic coral cay on Australia's Great Barrier Reef where you spend 2 hours viewing the coral reef and fish life, relaxing on the white sandy beach and exploring the walking tracks. Cruise to Green Island in comfort aboard a modern air-conditioned catamaran. Green Island is an idyllic coral cay on Australia's Great Barrier Reef where you spend 4 hours viewing the coral reef and fish life, relaxing on the white sandy beach and exploring the walking tracks. Cruise to Green Island in comfort aboard a modern air-conditioned catamaran. Green Island is an idyllic coral cay on Australia's Great Barrier Reef where you spend 5 hours viewing the coral reef and fish life, relaxing on the white sandy beach and exploring the walking tracks. Green Island is a tropical island paradise on Australia's Great Barrier Reef. Big Cat offers full and half day cruises departing daily from Cairns at 9am, 11am & 1pm. Activities include snorkelling, diving, glass bottom boat and semi-submersible coral viewing tours and relaxing on the beach. Jump on our modern air-conditioned catamaran for a cruise to Green Island. Once at this idyllic Great Barrier Reef location, you will have 5 hours to enjoy a semi-submarine tour, snorkeling over the colourful coral, relaxing on the beautiful white sands and exploring the walking tracks.